The HIFU has been used in medical science for more than 50 years, which is safe and effective, used for eliminating organism lesion tissues in organism medically. At the early time, it's used for tumor treatment system, then it's discovered that its excellent efficacy in improving skin and eliminating fat and then it is introduced into the medical cosmetic field. Home use HIFU focuses the ultrasound on single energy spots by using high intensity focused ultrasound (HIFU) to generate high energy working on the superficial musculo-aponeurotic system (AMAS), so that the SMAS layer shrinks to stimulate restructuring and regeneration of collagen molecules in the deep skin. Meanwhile, the energy skims over the skin, thus there's no need to worry about skin damage; it can also lift skin, compact facial contour and smooth wrinkles quickly. The energy focuses on the deep tissue without effect on the superficial skin. On the one hand, it works deeply with desirable effect; on the other hand, it protects the superficial skin better. One Catridge with 3 different depth: 4.5mm, 3.0mm and 1.5mm. 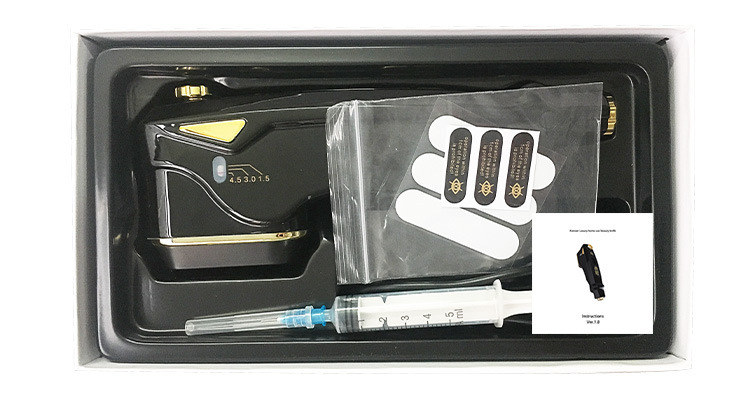 Based on different skin and depth, different treatment probes can be chosen for working on various parts of skin with good effect, such as face, neck.